Over the past seven years Milwaukee County has started each budget more more than a $20 million deficit according to County Executive Chris Abele. WUWM's LaToya Dennis reports on the Milwaukee County budget. 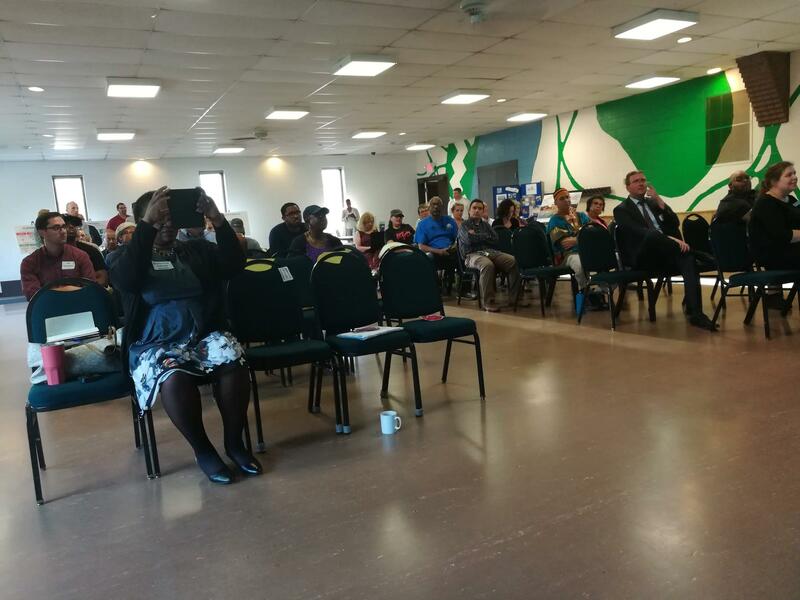 A number of community members showed up to voice their concerns and provide input on ways to fill the budget shortfall. “We’ve spent seven years as creative and working as hard as we can to avoid service cuts. I mean, we’ve moved out of over 1 million square feet of office space. We’ve reduced our energy bill by over $4 million every year. We’ve probably got about 600 less staff,” he says. In other words, Abele says, the county already is lean. He says residents will likely feel the impact of future cuts. “I mean, there will be cuts probably, there will have to be in transit, which is the last thing I want to do. There will be cuts, well little cuts, in almost every department,” Abele says. He says that while the county is producing more revenue than ever before, more and more of it is going to the state and remaining there. 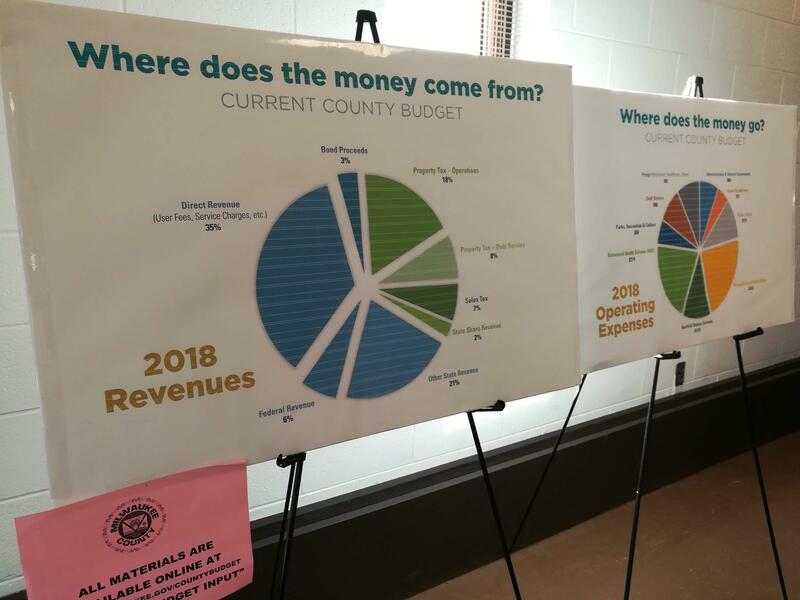 Right now, the biggest portion of the county budget — $242 million — is devoted to transportation, $214 million goes to the behavioral health division, $119 million to health and human services, $111 million to public safety, and the list goes on. Eileen Lauer, who lives in Shorewood, says her biggest concern has to do with the sheriff 's department budget. “The fact that it’s rising. Also, there’s been projected turnover or evidence of actual turnover happening. So, my concern as a citizen of Milwaukee County is how are those two reconciled?” she says. Lauer says she’s not advocating to cut the sheriff’s budget, but she doesn’t want to see more money given to the department either. As a way of generating more revenue, Ama Umrani suggests charging people who live outside the county for parking while here. She says there’s a way to do it where Milwaukee County residents wouldn’t have to be charged. “In the areas where there is a manned lot, persons would just be able to show their identification with a county address on it and then they would be allowed to park there for free as long as they wanted, but other people would be charged for parking,” Umrani says. If there is not an attendant, she says passes could be given to people to place on their vehicles. Around 15 people attended the meeting Thursday evening.any of them said it’s time for the county to control its fate, not the state. The county will hold a total of five listening sessions before the county board votes on the budget on Nov. 5.